Somerset Renewables is a certified nest pro installer, allowing us to supply, fit and commission nest products. 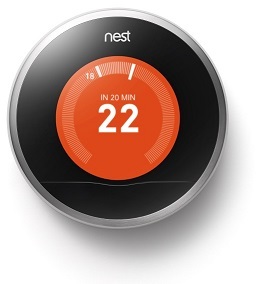 Nest thermostat installation also qualifies for reduced rate VAT, meaning you will only pay 5% VAT! Don't waste energy heating an empty home. The Nest Thermostat notices when you're away and automatically turns down the heat. There are other features that require Wi-Fi too. Since the Nest Thermostat gets weather information over Wi-Fi, weather-aware features (such as Auxiliary heat lockout) are only available when the Nest Thermostat is connected. And the Nest Thermostat updates the date, time and time zone over Wi-Fi, so you might need to enter the date and time manually if the Nest Thermostat isn't connected. ◾The Nest App is compatible with iOS devices running iOS 6.0 or later and most Android devices with Android 2.2 or later.